Four ancient wall paintings have been unearthed in Giza, Egypt. They were uncovered by the Egyptian Archaeology Mission of the Supreme Council of Antiquities, chaired by Mohammed Abdel Fattah. 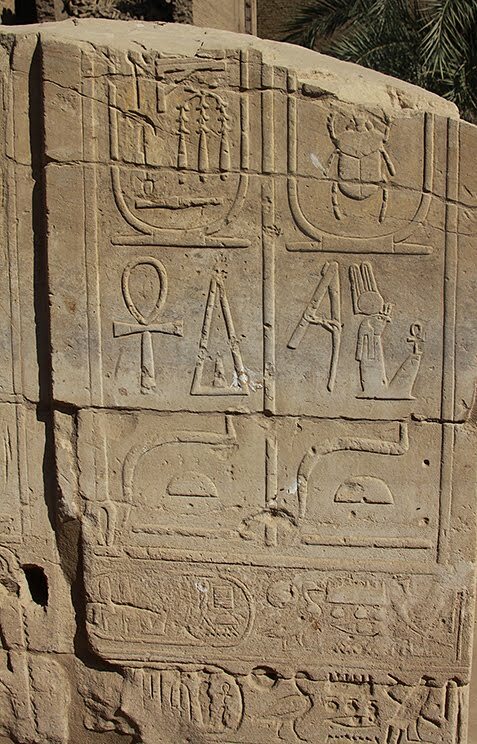 “This important discovery was found by chance when local residents dug randomly after the January 25 Revolution,” said the general director of the Saqqara archaeological area in Giza. “Immediately the archeology inspectors went to the site after being informed about the digging. They found walls with paintings, and continued the excavation process,” he continues. Each working day, a road crew lays another few hundred feet of two-lane highway around Lake Qarun, the gemstone of the Fayoum governorate in central Egypt. When finished, the 60-kilometer tarmac will serve a planned resort complex to be raised on the northeastern shore of the lake, a stunning oasis about an hour’s drive west of Cairo, and for those opposing the project it may as well be a noose. "The access road is the beginning of the end," says Erik R. Seiffert, a vertebrae paleontologist and an associate professor at New York’s Stony Brook University who has done research in the area. "I don’t see how we can offer any real protection with that thing coming in." It is a tragedy of modern Egypt that what lies below the soil is often of greater potential value than what lives above it. That is certainly the case with Fayoum, which is among the more neglected regions in an historically deprived nation. Settled in 4,000 B.C., the city is thought to be one of the oldest in Egypt and is a treasure trove of antiquities of all kinds. The rescue of an ancient Egyptian mummy's sarcophagus this month from alleged smugglers in New York — the first time authorities say an international artifacts' smuggling ring was dismantled within the United States — sounds more like the plot of a movie than reality. Amazingly, however, mummy smuggling not only still happens today, it was once so common that enough mummies were available to be ground up and sold as powder, archaeologists reveal. "Mummy powder was something you could buy in pharmacies up to 1920, because people thought it was a type of medication," said Egyptologist Regine Schulz, curator of ancient art at the Walters Art Museum in Baltimore. Today's black market for mummy and other antiquities is in the billions of dollars, though exact numbers aren't known. Besides not having a clear bead on the breadth of trafficking in Egyptian artifacts, scientists and officials say it's often difficult to protect the precious artifacts as the Egyptian desert is so vast. This is such a good idea. Our next event, the seminar on 'The Daily Life of the Pharaohs' will be broadcast live from Doughty Mews this Saturday at 11 am (see below).Tune in, and if you have any questions or comments please post them to the 'scoail stream at right here, and we will try to put them to speaker for him to answer as the day goes on. Following a three-year-long conservation project, the final section of the rare, thirty-five-centuries-old Egyptian Book of the Dead of the Goldworker of Amun, Sobekmose will go on long-term view on September 28. One of the most important funerary texts of the New Kingdom, in part because it is an early version of The Book of the Dead and casts light on the development of all later manuscripts, the papyrus is about twenty-five feet long. In an unusual feature, it is inscribed on both sides. The Book of the Dead is a present-day name for ancient Egyptian texts containing a number of magic spells intended to assist the deceased in the afterlife, and which were placed in the coffin or burial chamber. The Book of the Dead of Sobekmose, created during the Eighteenth Dynasty, probably during the reign of Thutmose III or Amunhotep II (circa 1479-1400 B.C.E. ), contains nearly one hundred "chapters," almost half of the total known group of Book of the Dead texts. Several of the chapters are close in content to those found in the Coffin Texts, the collection of funeral texts used in the previous historical period. 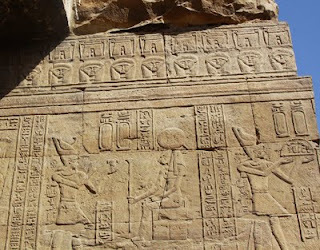 The texts on the front are written in approximately 530 columns of hieroglyphs reading down and from right to left. English translations are provided in the gallery for certain key passages. Although portions of these funeral texts have been translated, understanding them is often challenging even to Egyptologists, who do not yet know the meaning of certain phrases and sentences. The final third of The Book of the Dead of Sobekmose will join the previously completed sections, which have been on view in the Mummy Chamber installation in the Egyptian galleries since May 2010. That installation marked the first time the object had been on view in Brooklyn. It entered the collection in 1937 as a part of a purchase from the New-York Historical Society but had never previously been displayed because it was in poor condition. The conservation project, supported by the Leon Levy Foundation, has made it possible for this exceptionally rare object to be put on public view. Since 2002, revenue from overseas exhibitions of rare artifacts has gone to the family of toppled President Hosni Mubarak, an Egyptian antiquities official alleged Tuesday. Abdel Rahman al-Aidy, head of the Central Department for the Artifacts of Central Egypt, said during a press conference on Tuesday that the attorney general had yet to take action on 21 reports Aidy filed calling for an investigation into well-known former Antiquities Minister Zahi Hawass and his aides. He said he had prepared a list of the "five chief corrupt figures at the Supreme Council of Antiquities," and added that he will file a report against them this week. The ‘History of the Fayyum’ is a unique tax register, in Arabic, listing revenues from 130 villages and hamlets in one Egyptian province for AD 1245. It is the most detailed tax survey to have survived from any region of the medieval Islamic world, a Domesday Book for the medieval Egyptian countryside. Full fiscal and demographic data set, presented in 17 Microsoft Office Excel spreadsheets. Spatial representation of the data, presented in 14 Geographical Information System (GIS) maps. Extracts from the English translation and Arabic edition of the work. It also includes resources for teaching the rural history of the Middle East, and a forum area for postings on the history of the Fayyum (available from September 2011). The website is part of the 'Rural Society in Medieval Islam' project, funded by the Arts and Humanities Research Council UK, and based at the School of History, Queen Mary University of London. Egypt’s Supreme Council of Antiquities will submit its budget for inspection. Dr. Mohamed Abdel Maksoud, Secretary General of the SCA, said he will transfer the authority’s financial records in full to regulatory agencies for inspection. In a statement to Youm7, Maksoud said the file contains details of what was spent by the SCA during the last period, which has led to a deterioration in the budget amounting to about $1 billion EGP (U.S. $170 million) in overdrafts and interest to be paid to banks. Maksoud said that in light of the current situation, the council will begin reducing costs and only spending where necessary. Antiquities inspectors found five rare antique paintings emblazoned with graphics of Pharonic life and inscribed with the ancient Egyptian language in the El Lesht village in El Ayiat today. The inspectors coordinated with the antiquities police and transferred the paintings to one of the antiquities museums in Egypt. General Major Abdeen Youssef, head of security in Giza, received notification from 28-year-old Ahmed Awad, the antiquities inspector living in the El Atf village in El Ayiat, informing the General that he discovered the five paintings during a walk through El Lesht village. 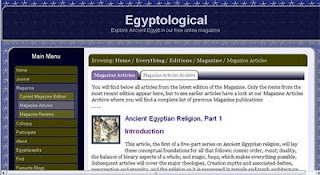 Kate and I are looking for more articles for future editions of Egyptological in all sections (Journal, Journal Reviews, Magazine, Magazine Reviews and In Brief). Your photos are also very welcome for a Photo Album. Although we are particularly looking for papers and articles we also welcome shorter pieces. Are you going to an exhibition? There are several on at the moment around the world - I am particularly envious of anyone going to Before the Pharaohs in Chicago. We would very much welcome exhibition reviews. And if you have been to a conference, course, seminar or study day we would love to hear what you made of it. Likewise, if you have watched a DVD or TV documentary on a subject dealing with Ancient Egypt our readers would like to hear your summary and hear your opinion. Book reviews are also very welcome. They don't have to be recently released books - people are always making decisions about book whether purchases, recent or older. If you have just read, or are planning to read, an Egyptology book we would be very interested in publishing your review. Full details on how to contribute articles or photos are available on our website - see the Participate pages. You can ask questions, start discussions or join in existing discussions on our Discussion page, and in response to any articles or photo albums. You can get in touch with us both at founders [at] egyptological dot com, or give me a yell at the usual address. Ana Rodríguez Mayorgas, Arqueología de la palabra: oralidad y escritura en el mundo antiguo. Barcelona: Edicions Bellaterra, 2010. Ana Rodríguez Mayorgas works at the Instituto de Historiografía Julio Caro Baroja in Madrid, having also spent time at the University of California in Berkeley. Hitherto she has written on orality and literacy in Rome, but in this useful book she extends her vision to all the previous civilizations of the Eastern Mediterranean as well. She is one of those who see no great divide between what we call prehistory and history. The main perspective developed in this account is that writing and orality were not opposed to each other in ancient civilizations, but complementary. There is certainly a distinction to be made between primary orality (in societies where no writing exists at all) and secondary orality (where the two modes coexist, as now), but in Ana Rodríguez's view society has not necessarily changed greatly with the initial advent of the latter. It is has often been thought and said that writing was developed as an aid to memory, although Plato accused writing of sabotaging the art of memory. Jack Goody, who developed the idea that the advent of writing into a society changed human psychology irreversibly even for those who could not write, but, as Ana Rodríguez points out this work can hardly be taken to mean that everybody in a literate community is logical and rational. So Ana Rodríguez sensibly looks at many relevant contexts separately, rather than aiming from the start for generalizations. Even so, one generalization that emerges is that, although writing gives the possibility for decontextualization, it rarely if ever lost contact with its oral context in the period considered. Ana Rodríguez takes the view that the development of early writing systems is not a single phenomenon, given that they are so different. Even ancient cave paintings were, in her view, intended to convey a message. The earliest specific writing systems were logographic (fortunately, it seems that nobody now argues that they were ideographic), in China, Mesopotamia, Egypt and also (giving a quick but interesting glance across the Atlantic) Mesoamerica. Oxford University is asking for help deciphering ancient Greek texts written on fragments of papyrus found in Egypt. Hundreds of thousands of images have gone on display on a website which encourages armchair archaeologists to help catalogue and translate them. Researchers hope the collective effort will give them a unique insight into life in Egypt nearly 2,000 years ago. Project specialist Paul Ellis said: "Online images are a window into ancient lives." The collection is made up of papyri recovered in the early 20th Century from the Egyptian city of Oxyrhynchus, the so-called "City of the Sharp-Nosed Fish". At the time the city was under Greek rule. Later the Romans settled the area. The Bahaa el-Deen Cultural Center will screen touristic and archeological sites in Asyut to increase the public's cultural awareness regarding tourism and Egyptian history. According to the director of the center, Hamdy Said, the film was produced by the governorate of Asyut. The film is 30 minutes long, revolves around 38 touristic sites and includes the Pharaonic, Coptic, Greek, Roman and Islamic ages, he added. The below collection of online resources (plus some recent paper bibliography) for ancient Egyptan texts has been collected by Michael Tilgner for the Egyptologists' Electronic Forum (EEF). It is arranged chronologically and its items appeared individually in EEFNEWS. It might be (hyperlink) indexed at a later date. For abbreviations used, see URL (common abbreviations, e.g., PT, p, FIP, etc) and URL (bibliographic abbreviations, e.g., Urk, Lichtheim, LD, KRI, etc). The collections has been made over several years, so quite a few links may have gone broken in time; next to each entry you may find the date (d/m/y) on which the links in that entry have been checked last. Corrections and additions are welcome with the editor. As usual, I found this whilst failing to find something else, but I though that it might be of considerable interest to some readers: the French-Egyptian Center for the Study of the Temples of Karnak, Activity Report 2009. With 51 pages, this is stuffed full of fascinating information, photographs, illustrations and plans. Well worth taking some time out to read. For a general update about the current state of the cabinet reshuffle see Shaden Shehab's report on Al Ahram Weekly. A bold statement from the new head of the SCA. No one has been named to replace the previous and only minister to ever run the ministry, Zahi Hawass. Before the January uprising, the Supreme Council of Antiquities, which Hawass also headed, functioned as Egypt's highest antiquities body and stationed under the Ministry of Culture. The current secretary general of the Supreme Council of Antiquities, Mohamed Abdel Maqsoud, supports abolishing the ministry and turning it into a council controlled by the cabinet. "Antiquities do not need a minister. Egypt's antiquity sector's policies are regulated by the Law 117/1983, which grants it sovereignty," Abdel Maqsoud told Al-Masry Al-Youm. He explained that the antiquities sector funds itself independently and does not need government allocations, noting that its revenue covers expenditures. Thanks to Briam Alm for this link. Egypt’s Ministry of State for Antiquities Affairs was not listed in the details of this week’s cabinet reshuffle. Apparently, its absence is explained by a contradiction between the ministry’s formation and the existing antiquities law. In a surprising revelation, Egyptian law regarding the protection of antiquities does not recognize the Ministry of State for Antiquities Affairs. The law still stipulates that all decisions taken are the responsibility of the Minister of Culture, not the Minister of Antiquities. Thus, technically, all decisions made by former Antiquities Minister Zahi Hawass are null and void. Egypt’s antiquities department has been downgraded from a ministry to a cabinet-affiliated office, according to the Los Angeles Times, which cited an Egyptian cabinet spokesman Thursday. The announcement came after a new Cabinet was sworn in that did not include an antiquities minister. Egypt’s antiquities agency had been elevated to a ministry by the former president, Hosni Mubarak, in the last days of his rule; previously it had been under the Ministry of Culture. It still remained unclear, however, who the government intends to appoint to run the office. Last Sunday, officials said the prime minister, Essam Sharaf, planned to replace Zahi Hawass, the longtime antiquities chief, as part of a cabinet reshuffling aimed at appeasing protesters. The plains of Giza where the pyramids and Sphinx - among the world's seven wonders - are located, is expected to unveil another tourist attraction once the construction of the Grand Egyptian Museum (GEM) is completed in 2015. GEM, also known as the Giza Museum, will showcase artefacts from ancient Egypt. Described as the largest archaeological museum in the world, the USD 550 million museum is scheduled to open on 50 hectares of land located some two kilometres away from the Giza pyramids. "GEM will also be an international centre of communication between museums, to promote direct contact with other local and international museums," Dr Tareq El Awady, Director of Egyptian Museum, said. He said GEM will also include a children's museum, conference centre, training centre and workshops similar to the old Pharaonic places. The GEM will be a beautiful space in which visitors can experience the art and artefacts of ancient Egypt in the shadow of the pyramids. Dahshour will be made into an international tourist area to aid in developing Egypt's tourism, said Giza Governor Ali Abdel-Rahman. Tourims is one of Egypt's main sources of national income. The announcement came after UNESCO's decision to turn the area to an international heritage reserve after conducting an inclusive study to develop the area. Abdel-Rahman said the developmental project will be executed in cooperation with the General Authority for Tourist Development. He said the project will come in the framework of an inclusive plan, prepared by the governorate, to develop tourism that will in turn increase the governorate's income as well as national income. Well, that was a long and interesting Giza Lab season! The Giza Field Lab was open from January 8th and closed its doors on May 31st. There were scheduled to be 36 specialists working in the Lab on the material culture and environmental evidence excavated from our sites in 2011, however due to recent events in Egypt only 24 specialists participated this time around. The main objective of the 2011 season overall was to have each team member finish the analysis of their class of material culture from Area AA at Heit el-Ghurab (HeG) for publication, including ceramics, all manner of artifacts, clay sealings, human bone, animal bone, plants, lithics, and pigments. We also made inroads into two new areas of endeavor, however, by having specialists in environmental change and residue analysis visit to assess possibilities of future analysis. Zahi Hawass, whose departure as Egypt’s minister of antiquities was announced in a cabinet reshuffle this week, said in an e-mail Friday that, while he continues to supervise the agency while his replacement is found, he will not be staying on for more than a few days “to help with the transition.” Mr. Hawass said, “I am retiring to focus on my own work, as a scholar and a writer,” adding he is looking forward to “living quietly as a private person, away from politics.” On Thursday, the Egyptian government said it is downgrading the antiquities department from a ministry to an office reporting to the prime minister, reversing a decision by former president Hosni Mubarak in the last days of his rule to elevate its status. It is still not clear who will run the office, which will again be known as the Supreme Council of Antiquities. No matter how well-researched and written, their relentless agglomeration of samey details puts me off reading. A lot of men never read fiction. I know many who've barely glanced at a novel since school. If sales are anything to go by, they like factual works: biography, sport, science, humour. And a lot of history. And so it is that – as with so many other things – I find myself out of step with my fellow males. I just don't enjoy history books, though I've made an effort with quite a few. They're too literal and linear; I find that the vast majority simply spool out information, doggedly and relentlessly – and often very samey information at that. For instance I bought, then started, then put down, The Rise and Fall of Ancient Egypt by Toby Wilkinson. Reviews had whetted my appetite: the strangeness of the culture, the fetish for monument, the eerie death cult. The Ancient Egyptians hardly seem to be the same species as us. A fascinating subject, then, and Wilkinson's book is brilliantly researched and cogently written. The problem is, it's all more-or-less the same stuff happening to people, over and over, for literally thousands of years. Ptolemaic scene, with empty cartouches. Elite members of ancient Egypt, including the pharaoh himself, likely wielded ornate daggers, swords and axes in battle, or to personally execute prisoners, rather than using the shiny metal for ceremonial purposes, research suggests. The weapons were used during the Bronze Age, a period between 5,000 and 3,000 years ago when the civilization was at its height, according to Daniel Boatright, an Egyptologist at Isle of Wight College in the United Kingdom. This finding is "strange considering the amount of literature that's been composed so far that basically says that all of them were for ritualistic purposes and were never used in battle," Boatright told LiveScience. Boatright did caution that it can't be ruled out that the weapons may have been used for animal sacrifices. With the French Revolution came the first truly public museum in the world, the Louvre that opened its doors in 1793. Private collections owned by wealthy individuals were made accessible to the middle and upper classes in major European cities roughly since the eighteenth century. Access to such collections by a greater public was seen as one of the engines of European enlightenment. With the emergence of public museums came a new approach to art history that considered the views of the beholder, rather than just the viewpoint of the artist. New fields of knowledge became essential because museums were national spaces where identities were negotiated through the ritual of viewing untouchable objects. Power relations between object, owner, institution, and viewer were constructed based on class relations: aristocrats owned precious objects that could be viewed by a wider audience within an institutional setting. Once objects were clearly identified as unfamiliar, such as Pharaonic, new dimensions including race and exoticism were added to the museum experience. Awe-inspiring ancient art from faraway places stimulated a wave of travel, treasure hunting, and exploration to destinations such as Egypt. Ambiguity has surrounded the destiny of Egypt's new Ministry of Antiquities, following a recent cabinet reshuffle approved on Thursday. 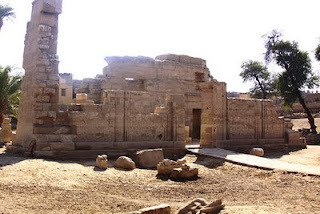 The head of the Central Administration of Middle Egypt Antiquities, Abdel Rahman al-Aidy, though, is against the idea. He admitted, though, the sector's return to the Ministry of Culture is unlikely, especially with antiquities employees rejecting the idea. Nominating new ministers turned out to be an ordeal for Sharaf after his initial choices were opposed by either activists or ministries’ officials. The prime minister announced earlier in the week that Zahi Hawass, the archaeologist known for his National Geographic documentaries and close ties to the Mubarak family, was to be replaced by Abdel Fattah el Banna as minister of antiquities. But Sharaf reversed himself and decided to temporarily keep Hawass in his post. “Dr. El Banna has accused several of the antiquities employees of corruption and thus triggered much rejection against him holding the position. Essam Sharaf consequently believed that it wouldn’t be appropriate atmosphere for him to work,” the government announced in a statement. Hawass told MENA on Wednesday that he was asked by Sharaf to carry on his duties but wasn’t mentioned in Thursday’s list of ministers. A Cabinet spokesman later announced that the ministry of antiquities would be downgraded to a Cabinet-affiliated office and not be its own ministry. Egypt's new ministers took the oath of office in front of Hussein Tantawi, head of the ruling Supreme Council of the Armed Forces, on Thursday, official MENA news agency reported. There were 14 new members in the cabinet. Ministers of foreign affairs, finance, health, industry and trade, religious endowment, civil aviation, military production, higher education, communications, transport, agriculture, irrigation, local development and public enterprises were newly appointed. The Antiquities Ministry was annulled in the reshuffle. The ministers of interior and justice, whom some youth groups urged to be sacked, were not changed. So, last Sunday, Egyptian Minister of Antiquities and television star Zahi Hawass was escorted out the back door of “his” Egyptian Museum on Tahrir Square in Cairo. He was removed from office in a sweeping change in the cabinet demanded by new protesters gathered in that famous Square. Today, he got his job back. Prime Minister Essam Sharaf had appointed Abdel Fatah El Banna of Cairo University to replace Dr. Hawass, but the appointment met with vociferous objections from the antiquities staff and archeologists around the world. It was a matter of being caught between groups of angry archeologists, since Hawass was chased through the street on Sunday by those who really, really dislike him before his bodyguards could get him into a cab. But other archeologist demanded his return. Dr. Hawass is a controversial figure, to put it mildly. He has been criticized for being too dictatorial, for not doing enough to make his nation’s antiquities and history accessible to Egyptians, for grandstanding in front of the cameras all the time, for accepting bribes for digging permits (very old practice, by the way, dating back to both French and English control of the sites), not paying interns, giving favors to friends, making himself filthy rich because of television and book contracts, trying to destroy the reputations of any scholar who disagrees with him, and exploiting female staffers, as well as using the services of hookers and escorts during overseas trips. This is not the place to go into the protests in Egypt, but there are some good news reports floating around for those who want to get to grips with the protest demands and the general feelings and ideas that seem to be circulating amongst the protesters. There's a good summary of the current status of the so-called Arab Spring on The Economist website entitled Revolution Spinning in the Wind. There's a short summary of the situation on the BBC News website by George Alagiah: Old habits die hard for Egyptian security forces. On the Foreign Policy website in an article entitled Five Months of Waiting Sharif Abdel Kouddous asks "what happens when a revolution stalls out?" The story is posted over four pages. In Marginalia. The Elephant in the Room, also on Al Ahram Weekly, Mona Anis looks at the mood in Tahrir Square and argues that the the protesters are not as united as some writers and analysts believe. She particularly cites an article by Robert Fisk in July 12th's Independent. Following recent articles published in Al-Ahram newspaper concerning some of the Museum of Islamic Art's collection, especially the sword and dagger of Timor Pasha, the Minister of State for Antiquities has decided to put both objects on display. Secretary-general of the Supreme Council of Antiquities Mohamed Abdel Maqsoud explained that such a decision will curb any misleading published information. He also invited all the media as well as well-known writer Farouk Goweida to visit the museum and admire the sword and dagger. 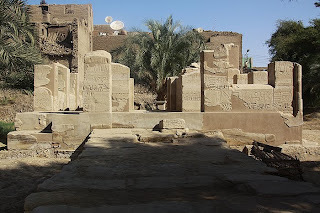 Thanks very much to Kate Phizackerley's News From the Valley of the Kings blog, and her reader Christine Fößmeier who sent her the above link, for pointing to the above paper. Published in the journal Sahara by Predynastic experts Stan Hendrickx and Maria Gatto, it gives full details of the discovery and current condition of the engravings. In PDF format. Paul Barford has posted about a photograph which has appeared on Facebook, which allegedly shows a looted storeroom in Memphis. The authorities denied that Memphis had been targeted by looters. New technology which makes it possible to study the finer details of some of the world's greatest historical artifacts has been developed by computer scientists and archaeologists at the University of Southampton in conjunction with academics at the University of Oxford. Dr Kirk Martinez at the University of Southampton's ECS -- Electronics and Computer Science and the team have developed two Reflectance Transformation Imaging (RTI) systems to capture images of documentary texts and archaeological material. The systems takes 76 pictures of artifacts with the light in different positions, then creates a new type or RTI image. The viewer can then move the virtual light anywhere and focus on the detail. The necropolis east of historic Cairo and under Muqattam hills is about ten times bigger than Al Azhar Park just across Salah Salem highway. It has received some attention from architectural historians due to the exquisite funerary architecture. There are tombs, mosques, and schools. Although this is only one layer of this Qarafa, as it is known to Egyptians. Besides the historic layer there is a living community that lives among the historic buildings, mostly in buildings that look like self-built apartment houses elsewhere in the city. Contrary to popular belief, few actually live in the tombs. The population may have changed over the course of the last forty years and it may have been larger at some point but today those living in this part of the city are not many. But there are enough families to give this place a sense of community and keep it alive. This large area is diverse with different conditions, density of residents, density of historic buildings, and varying levels of livability. For those who are interested in Saqqara this is an English language version of a really excellent French introduction to the site. In order to proceed through the full guide, just click the link at the bottom right, which shows the title of the next section. Thanks to Alice Gaylor for the link. One wonders what sort of state the Antiquities service is in if only one person can be found with suitable qualifications to lead it. Egyptian antiquities boss Zahi Hawass still remains the minister, despite reports that he has been sacked. On 19 July he told The Art Newspaper that prime minister Esssam Sharaf has asked him to continue to go to work. However, Hawass’s future is now very uncertain. Although Hawass is facing dismissal in an imminent cabinet reshuffle, it is proving complicated to find his replacement as antiquities minister. Last Sunday Abdel Fatah El Banna of Cairo University was named as his successor, but the appointment failed to go ahead after he faced criticism, including protests from antiquities staff. Perhaps he spoke too soon. The news that Zahi Hawass was recently swept aside from his post in a cabinet reshuffle in Cairo, should be welcomed. There was always something about Hawass that seemed not quite right. Besides his anti-Semitic comments, it was his constant presence. He was always there – in every video, television report, newspaper article, every time Egyptian archeology was mentioned. As Secretary General of the Egyptian Supreme Council of Antiquities, and later as the first Minister of Antiquities, he has spent a decade as the highest government bureaucrat responsible for Egypt’s archeological heritage. But a close comparison of how new archeological discoveries are presented in Egypt and how they are revealed in other places, like Israel, gives a peek into how Hawass operates. In 2010, when a new pagan burial alter was found at Ashkelon in Israel, the interview for National Geographic was given by Yigal Israel, chief archeologist at Ashkelon for the Israel Antiquities Authority. Reports about the excavation of Vadum Iacob, a Crusader fort in the Galilee, quote Ronnie Ellenblum, head of the research project there. But in Egypt things are different. The North East’s premier museum, Great North Museum: Hancock, Newcastle, is hosting the largest ever UK touring exhibition of ancient Egyptian artefacts this summer. The British Museum touring exhibition Pharaoh: King of Egypt sees the entirety of ancient Egyptian history brought to life in over 130 objects. A diverse range of artefacts from the British Museum’s world-class collection explores the myths and real life realities of Egyptian Kinship. Many of the objects display the images of the pharaohs they would have wanted us to see: the all-powerful military leaders descended from Ra, intermediaries between the gods and their people. Yet, as the exhibition seeks to uncover, the realities of Egyptian Kingship were often very different. The exhibition Pharaoh: King of Egypt has just opened at the Great North Museum in Newcastle tomorrow. It's free and on there until September 25th before going on tour to Dorchester, Leeds, Birmingham, Glasgow and Bristol over the next two years. The Act of Parliament establishing the British Museum in 1753 says it is "for all curious people", not just curious people in the capital, and this exhibition is a great way of using our collection and making sure different audiences across the country can see it. One of the fascinating aspects of the exhibition is the way that it shows how Egyptians absorbed and assimilated foreign rulers. As Dr Spencer said, "Egypt was under foreign rule for centuries – Nubians, Persians, Libyans, Romans and Macedonians all provided Pharaohs and all of them, in Egypt at least, respected local traditions and gods." Tiberius, the emperor at the time of Christ's crucifixion, is represented here by a round-topped sandstone stela that shows him in classic pharaonic dress with a winged sun-disk kneeling before a couple of gods and with his name translated into hieroglyphs, recording the reconstruction of some flood-damaged temples at Karnak. A Modern Museum for an Ancient Nation? With the French Revolution came the first truly public museum in the world, the Louvre, which opened its doors in 1793. Private collections owned by wealthy individuals were made accessible to the middle and upper classes in major European cities roughly since the eighteenth century. Access to such collections by a greater public was seen as one of the engines of European enlightenment. With the emergence of public museums came a new approach to art history that considered the views of the beholder, rather than just the viewpoint of the artist. New fields of knowledge became essential because museums were national spaces where identities were negotiated through the ritual of viewing untouchable objects. See previous posts on the subject for a summary of the news to date (yesterday and the day before). There is also a discussion developing on Nora Shalaby's blog, which could be worth watchng for comments from Egyptian as well as other perspectives. Includes a statement in response by Hawass. Hawass was characteristically blunt in assessing why he was let go after nearly a decade in charge. “All the devils united against me,” he said in an e-mail today. And he said he believed that archaeology will suffer as a result. Mubarak had created the ministry of antiquities in January as part of an effort to salvage his government; it had been a non-cabinet agency called the Supreme Council of Antiquities, which reported to the ministry of culture. Hawass predicted that the antiquities ministry would be abolished within two months. But Egyptian and foreign sources said that protesting archaeologists rejected the appointment of a nonarchaeologist and mobbed the area outside the antiquities ministry’s headquarters in protest. Montu being sailed down the Nile from Armant to Tod. I will continue to add to this post throughout today if any new information turns up, but I won't repeat anything that has already appeared on either this post or yesterday's. Although the interim government have clearly submitted to protester demands for Mubarak's former followers to be ousted, of whom Hawasss is one, there seems to be a question mark over whether these changes are constitutional. The final line-up, apparently due today, may provide more information about Hawass's replacement. Prime minister Essam Sharaf has cancelled the nomination of the Abdel Fatah El-Banna to hold Egypt’s antiquities portfolio. The decision was taken following the demonstrations of archaeologists and the employees of the Ministry of State for Antiquities (MSA) at the front gate of the cabinet building calling for the cancellation of El-Banna’s nomination to the ministry's top post. El-Banna is an associate professor at Cairo University and a stone monuments restoration specialist. He obtained his Ph.D. from Warsaw University, Poland, in engineering geology and majored in restoration of historic buildings. El-Banna, along with fresh graduate archaeologists, had been campaigning against former MSA minister Zahi Hawass, calling for him to step down. With thanks to Kate Phizackerley for the link. Please bear in mind that whether or not Al-Banna is accepted as the official replacement of Hawass (if Hawass actually remains replaced) is a matter which appears to be still very much up in the air. Yesterday we heard the delightful news that Zahi Hawass had resigned from the Ministry of Antiquities - something many Egyptians had long been waiting to hear. It was about time the Mubarak of Antiquities, who had been head of the SCA for over 10 years, be removed. However when I heard about his replacement, Abdel Fattah el-Banna, I was shocked. I first heard about el-Banna post Jan25 when he appeared several times protesting against Zahi Hawass. He had a group of followers, mostly fresh archaeology graduates, and others who had an interest in Egyptian archaeology, that I saw several times outside of the SCA building in Zamalek. His dislike of Zahi was obvious and there were always chants calling for Zahi's resignation. Unfortunately though it seems that el-Banna is somewhat crazy. The Supreme Council of Antiquities secretariat rejected the appointment of Abdel Fattah al-Banna as antiquities minister. The appointment was part of the cabinet reshuffle ordered by Egypt's prime minister. In a statement, the secretariat said Banna, a restoration specialist, does not specialize in archaeology and should not assume the ministry's responsibilities. The statement called for dissolving the Antiquities Ministry and returning its responsibilities to the council, which it said would act as an independent, scientific institute run by specialists. The decision to establish the ministry was made by Hosni Mubarak, a mistake that should be reversed in the public's interest, the statement said. Egypt's embattled prime minister, Essam Sharaf, has fired several of his top ministers in the latest attempt to end mass nationwide protests against his government's slow pace of reform. The most high-profile departure was that of Zahi Hawass, Egypt's antiquities minister and a self-styled 'Indiana Jones of the East' who attained celebrity status through his global television ventures with the National Geographic and Discovery channels but was tainted by his strong praise for Mubarak during the anti-government uprising earlier this year. The ministers of finance, industry, education and foreign affairs also followed in the footsteps of Sharaf's deputy, Yehia el-Gamal, who stepped down last week amid demonstrations that have called the legitimacy of Egypt's ruling military generals into question. Protesters have demanded that the interim cabinet be purged of all politicians linked to the Mubarak regime. With his trademark hat, pompous swagger and unbounded sense of self-worth, Hawass has been credited with boosting national tourism revenue and opening up the mysteries of pharaonic Egypt to the world. But he's also been a consistent hate figure for many working within the archaeological community, and his emphatic support for Mubarak – made in a BBC TV interview just five days before the dictator was toppled – seemed to be the last straw for his career. But, as seen in a recent interview with the Guardian, Hawass tried to improbably style himself as an enthusiastic revolutionary in recent months and somehow clung onto his position – until today. Egypt's Interim Constitution does not entitle the current prime minister to appoint ministers or accept their resignations, an Egyptian military source said on Saturday. The ruling Supreme Council of the Armed Forces (SCAF) has the sole authority in that respect, said Major General Hassan al-Ruweiny, the head of the central command of Egypt's armed forces. Ruweiny's statements follow discussions conducted by Prime Minister Essam Sharaf regarding a potential ministerial reshuffle, which came in response to week-old protests demanding a new government. Egypt's young revolutionaries believe the military council does not provide Sharaf with the necessary authority to change ministers. Even after the Cabinet reshuffle, many of the protesters in the square said they have no intention of quitting more than a week into their sit-in. "The real power brokers are the generals of Hosni Mubarak," said activist Hossam el-Hamalawy. "Nothing has really changed on the ground." He said ending military trials for civilians and an improved minimum wage remain high on the list of the protesters' demands. Prime Minister Essam Sharaf is delivering on a promise for a Cabinet reshuffle in an attempt to end the new round of mass protests. A final lineup is expected Monday. The most prominent among those replaced is Antiquities chief Zahi Hawass. For more than a decade, he has been the international face of Egypt's archaeology, with his trademark "Indiana Jones" hat that turned him into an instantly recognizable global icon. Hawass, however, has been the target of a series of heavily publicized protests by archaeology graduates who accused him of corruption and seeking publicity for himself. Egypt's antiquities minister, whose trademark Indiana Jones hat made him one the country's best known figures around the world, was fired Sunday after months of pressure from critics who attacked his credibility and accused him of having been too close to the regime of ousted President Hosni Mubarak. Zahi Hawass, long chided as publicity loving and short on scientific knowledge, lost his job along with about a dozen other ministers in a Cabinet reshuffle meant to ease pressure from protesters seeking to purge remnants of Mubarak's regime. "He was the Mubarak of antiquities," said Nora Shalaby, an activist and archaeologist. "He acted as if he owned Egypt's antiquities, and not that they belonged to the people of Egypt." Despite the criticism, he was credited with helping boost interest in archaeology in Egypt and tourism, a pillar of the country's economy. But after Mubarak's ouster on Feb. 11 in a popular uprising, pressure began to build for him to step down. Hawass was among a list of Cabinet ministers protesters wanted to see gone because they were associated with the former regime. And archaeology students and professors blasted him for what they saw as his lack of serious research. Breaking News - Hawass replaced as Minister of Antiquities? There are reports coming in that Zahi Hawass, Minister of State for Antiquities, has resigned his position or been replaced during or following the most recent cabinet reshuffle. It appears that his replacement is Dr Abdel Fattah Al-Banna from Cairo University. There are, as yet, no official statements on the subject. One of the reports has appeared on Bikya Masr and another on The Daily News Egypt. The only things that I have been able to find out about Al-Banna are that he is an expert in stone restoration and, according to Al Ahram Weekly, led a protest to oust Mark Lehner and his team from the AERA dig house earlier this year. I will post more news as I hear it. Thanks to those who have emailed me so far - do keep the news coming in. The discovery was announced on 12th July in Madrid at a press conference which was attended by the Spanish Minister of Science and Innovation, Cristina Garmendia, and Rafael Rodrigo, CSIC President- Spanish National Research Council, held by the director of Djehuty Project to celebrate the 10th season completion. In Dra Abu el-Naga, Spanish archaeologists have also made two more discoveries (a pet cemetery and a new burial chamber). In the tomb of Hery, a senior Egyptian official who lived in 1500 BC, researchers have discovered a burial pit "completely inesperado - unexpected" in the words of Dr.Galan, and that the tomb had another cavity of these characteristics and is not unusual for having two burial rooms in tombs. Entre los ultimos hallazgos destacan 80 figurillas de unos 3.000 años de antigüedad.- La revuelta popular interrumpió el trabajo de campo, este año. "Un viernes de finales de enero, justo cuando estábamos celebrando el X aniversario, con una tarta, sangría y jamón serrano, estallaron las primeras revueltas en El Cairo". El egiptólogo José Manuel Galán pasa seis semanas al año en Luxor, una ciudad situada a orillas del Nilo, en el centro de Egipto. Allí dirige las excavaciones de Djehuty, un proyecto del Consejo Superior de Investigaciones Científicas (CSIC) que iba a durar cinco años pero que, a golpe de hallazgo arqueológico, ha subido el listón de sus objetivos. "Empezamos con la intención de estudiar dos tumbas pero hemos ido excavando, descubriendo... y ahora podemos pasarnos trabajando allí 100 años". A set of 2,000-year-old sarcophagi and other Egyptian antiquities were smuggled into the United States by a black-market artifacts ring and recovered by U.S. law enforcement agents, officials said on Thursday. Charges unsealed in Brooklyn federal court in New York accused four men of conspiring to smuggle the Egyptian artifacts in what one U.S. official described as a groundbreaking case against trafficking in cultural property. The men charged -- Mousa Khouli, Salem Alshdaifat, Joseph Lewis and Ayman Ramadan -- were accused of evading customs officers by misrepresenting the nature of their cargo during border inspections. They also were charged with plotting to launder money. Federal authorities announced on Wednesday that they had broken up an international ring that had been smuggling Egyptian antiquities into the United States. The Immigration and Customs Enforcement’s Homeland Security Investigations department said it was the first time that a cultural property smuggling network had been dismantled in the United States. The latest on the arts, coverage of live events, critical reviews, multimedia extravaganzas and much more. Join the discussion. The charges filed in United States District Court in Brooklyn accuse three antiquities dealers and a collector of conspiring to smuggle an Egyptian sarcophagus and other items, and of laundering money. All of the suspects have been arrested except for a Jordanian dealer who operates out of Dubai. Brenton Easter, a federal agent who led the investigation, which began in 2008, said the items seized had a market value of $2.5 million. Alleged leaders of an international smuggling ring accused of stealing millions of dollars in antiquities from Egypt and other Middle Eastern countries are now facing federal charges in the United States, authorities said Thursday as they detailed some of the items seized by investigators. "It is the first time an alleged cultural property network has been dismantled within the United States," James Hayes Jr., special agent in charge of U.S. Immigration and Customs Enforcement, and Homeland Security investigators in New York told CNN. According to a federal indictment, the Department of Justice charged four men with conspiring to smuggle artifacts and launder money. An indictment was unsealed yesterday in federal court in Brooklyn charging Mousa Khouli, also known as “Morris Khouli,” Salem Alshdaifat, Joseph A. Lewis, II, and Ayman Ramadan, with conspiring to smuggle Egyptian antiquities into the United States and conspiring to launder money in furtherance of smuggling.1 The arraignments of Khouli and Lewis are scheduled today before United States Magistrate Judge Andrew L. Carter, at the U.S. Courthouse, 225 Cadman Plaza East, Brooklyn, New York. Alshdaifat’s arraignment took place yesterday before United States Magistrate Judge R. Steven Whalen, at the U.S. Courthouse, 231 W. Lafayette Boulevard, Detroit, Michigan. Ramadan, a Jordanian citizen residing in the United Arab Emirates, is a fugitive. The case has been assigned to United States District Judge Edward R. Korman. The indictment was announced by Loretta E. Lynch, United States Attorney for the Eastern District of New York, and James T. Hayes, Jr., Special Agent-in-Charge, U.S. Immigration and Customs Enforcement (ICE), Homeland Security Investigations (HSI), New York. Bronze coins and clay vessels stolen from the Qantara East archaeological magazines were recovered. Following archaeological investigations, a committee from the ministry of state for antiquities (MSA) approved the authenticity of five bronze coins and twenty-two clay vessels which were found in the possession of Bedouins at the canal city of Port Fouad. Youssef Khalifa, head of the archaeological committee, told Ahram Online that the newly recovered objects were among the objects reported missing from Qantara East warehouses following the security vacuum that overwhelmed Egypt following the January revolution. 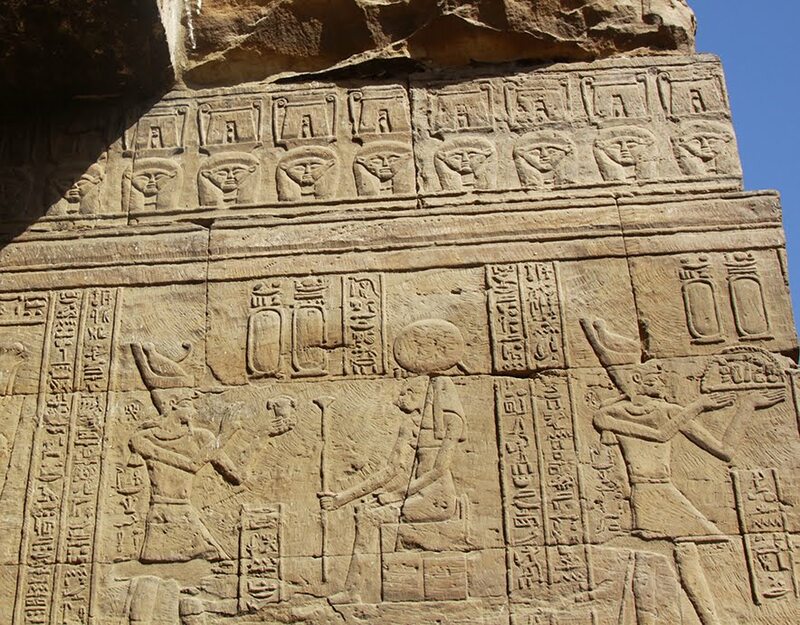 Monuments and artefacts uncovered during the past archaeological season in Aswan, Luxor and Alexandria have led to significant breakthroughs in understanding Egypt's ancient history, Nevine El-Aref reports. Almost 700,000 years ago, early humans began leaving traces of their wanderings in the land that is now Egypt. Much later Egypt, alongside its neighbour Mesopotamia, became the first cradle of human civilisation. Over the course of its history it witnessed the rise and fall of the kingdoms of ancient Egypt, the rise of the Greek and Roman empires, the establishment of the Coptic and Islamic periods and the colonial era first under France, then Great Britain until it finally regained independence. Although discoveries over the length and breadth of Egypt have helped write the country's ancient history, several pieces of the jigsaw are still missing. 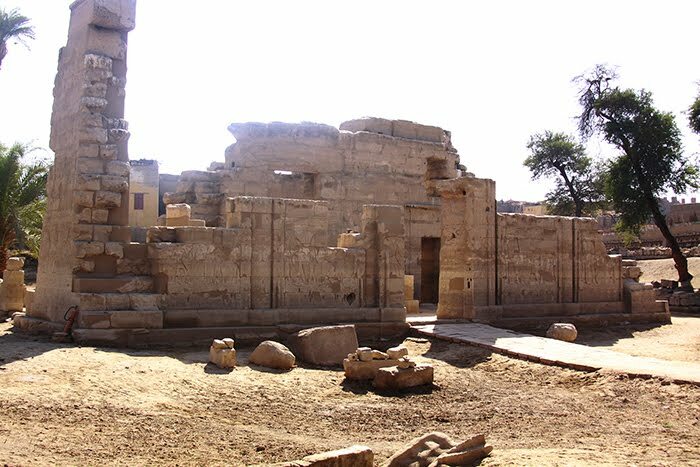 During this archaeological season from January to May, major discoveries carried out in the Hamdulab area on Aswan's west bank, Karnak temples in Luxor and Al-Baron in the Semouha district of Alexandria have helped fit missing pieces into the puzzle. The Thames Valley Ancient Egypt Society (TVAES) today announces the inaugural set of awards from its Donation Fund established in 2010. In this initial set of grants Reading based charity TVAES has awarded a total of £2000 to ten archaeological missions to Egypt and Sudan. 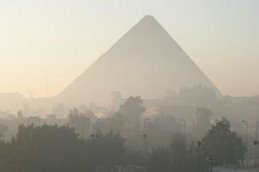 Although some missions to Egypt were forced to interrupt work in Egypt during the revolution, many projects continued without a break, and a full season of work is anticipated during 2011-12. In announcing these grants today TVAES is supporting excavation, epigraphic, recording, conservation and survey work across eleven ancient Egyptian sites. Recognising the global nature of Egyptology the grants have been made not just to UK based institutions but also to those based in Russia, Belgium and the US with many of these missions working alongside Egyptian or Sudanese colleagues. Applications were sought globally for grants and the fund was many times oversubscribed. In just under two weeks, over 3,000 years of history – in the shape of 130 objects – has been installed at the Great North Museum: Hancock in Newcastle upon Tyne for the British Museum UK touring exhibition Pharaoh: King of Egypt. The objects span almost the entire extent of ancient Egyptian history, from an exquisite ebony label belonging to one of the very first rulers of Egypt to a monument depicting the Roman Emperor Tiberius as an Egyptian pharaoh. The exhibition focuses on the kings of Egypt, but there is an incredibly diverse selection of objects, which presented a wide range of challenges in the installation. For the past three and a half months, I’ve been privileged to be working as a trainee curator in the ‘Future Curators’ programme at the British Museum, where I’ve had the opportunity to work on the UK touring exhibition Pharaoh: King of Egypt. Developed in partnership with Tyne & Wear Archives and Museums and the Great North Museum: Hancock, the exhibition explores both the ideals and the realities of ancient Egyptian kingship. The exhibition includes extraordinary objects, such as the sed-festival label of King Den, one of the earliest rulers of Egypt; an Abusir papyrus, a record of temple accounts and one of the oldest surviving papyri; the iconic siltstone head of Thutmoses III; a wooden tomb guardian statue from the tomb of Ramses I; beautiful decorative tiles from royal palaces; a doorjamb from the tomb of General Horemheb before he became king; several Amarna letters with diplomatic correspondence between Akhenaten and foreign powers; and monumental reliefs from the temple at Bubastis and mortuary temple of Montuhotep II at Deir el-Bahri. A baboon sits in a lotus position swathed in yellow bandages. A cat, his body crisscrossed by elaborated folded strips of linen, looks up as if expecting a morsel from its owners. A hunting dog is preserved so carefully that individual strands of fur are identifiable as well are a pair of sleepy, half closed eyes. He stands erect on his four feet. These animal mummies – all of them housed at Cairo’s Egyptian Museum – seem more alive and evoke more warmth than their human counterparts, usually fond lying rigid topped by an expressionless face, the stuff of monster movies and nightmares. That has made the animal mummies and the sarcophagi that house many of them popular with museum-visiting school groups. Now Egypt’s animal mummies are getting serious attention from Egyptologists. Last month, the Brooklyn Museum took a big part of its collections to a nearby veterinary hospital to have them examined under a computerized tomography (CT) scanner to reveals their secrets. The museum plans to mount an exhibit of its collection sometime in 2013. After years of rejection by the Mubarak regime on the grounds that Egyptian antiquities are an issue of “national sovereignty,” the first Egyptian Archaeologists Syndicate was launched last week; and Fayza Haikal, Egyptology professor at The American University in Cairo, was chosen as its head. On this occasion, Al-Masry Al-Youm talks to Haikal about the challenges the nascent syndicate is facing, from charges of corruption and antiquity theft against government officials - both before and after the protests erupted - to improving the work conditions of archaeologists and objections to the way Haikal was appointed. One of the Field Museum’s mummies is a 40-year-old woman who had lower back pain. A second was a teenager who may have jumped to his death. Another mummy has no torso. “It was a bit of a shocker” learning that within the sarcophagus was a skull and legs but nothing to join them, said J.P. Brown, associate conservator for the museum’s department of anthropology. The murky life and times of the Field’s ancient mummy collection, the largest in the Americas, recently got a little clearer. Since July 6, select mummies from ancient Egypt and Peru were given CT scans in a trailer in the museum parking lot. The CT machine was donated by Genesis Medical Imaging in far northwest suburban Huntley. By providing a mobile CT scan unit free of charge to Chicago's famed The Field Museum for a series of mummy scans this month, Genesis Medical Imaging, Inc. has helped discover ancient secrets, and opened the door to new mysteries. Field scientists were surprised to find only a skull and legs inside the wrappings of one Egyptian mummy and the baskets of four Peruvian specimens simply empty, with no mummies inside. Yet it was all instructive for the museum's researchers, who after several days of scanning objects more than 2,000 years old are more certain of what their collection actually holds. Several of the museum's oldest and most delicate specimens were moved with painstaking care last week to the museum's back parking lot, where they slowly passed through an advanced multi-slice computed tomography scanner in a 53-foot semi-truck trailer specially configured by Genesis. Bir Umm Fawakhir Survey Project 1993: A Byzantine Gold-Mining Town in Egypt. C. Meyer, L.A. Heidorn, W.E. Kaegi, and T. Wilfong. The Oriental Institute continued its survey of the site of Bir Umm Fawakhir in Egypt with a short season in January 1993. 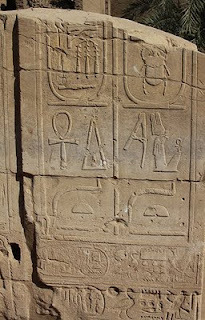 The site lies halfway between the Nile and the Red Sea, or about five kilometers northeast of the famous bekhen-stone quarries and graffiti of the Wadi Hammamat. The 1992 project was a geological study of the area of Bir Umm Fawakhir. Since the only resources in this hyperarid desert are mineral, it explains why the Bir Umm Fawakhir town existed where it did and why. By far the most valuable resource was the gold carried in white quartz veins in the local granite, and the mountainsides around Bir Umm Fawakhir are riddled and trenched with ancient mines. Bir Umm Fawakhir, Volume 2: Report on the 1996-1997 Survey Seasons, By Carol Meyer, with contributions by Lisa Heidorn, Alexandra A. O'Brien, and Clemens Reichel. Bir Umm Fawakhir is a fifth-sixth century A.D. Coptic/Byzantine gold-mining town located in the central Eastern Desert of Egypt. The Bir Umm Fawakhir Project of the Oriental Institute of the University of Chicago carried out four seasons of archaeological survey at the site, in 1992, 1993, 1996, and 1997; one season of excavation in 1999; and one study season in 2001. This volume is the final report on the 1996 and 1997 seasons. The goals of the 1996 and 1997 field seasons were to complete the detailed map of the main settlement, to continue the investigation of the outlying clusters of ruins or "Outliers," and to address some specific questions such as the ancient gold-extraction process. Egypt's oldest pyramid has been saved from collapse by giant airbags which have been used to prop up the ceilings. The 4,700-year-old building has been stabilised so engineers can carry out permanent repairs. 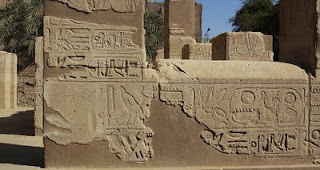 The giant structure was built as a burial place for Pharaoh Djoser, a warrior who reigned in the third dynasty for 19 years but has been damaged in an earthquake. The British team - who helped repair Windsor Castle after it was damaged by fire in 1993 - used technology first developed to aid in the safer disposal of improvised explosive devices in Afghanistan. Engineering boss Peter James said: 'The entire structure could be destroyed at any point due to the damage caused by the earthquake. The proceedings of the conference “Egypt, Canaan and Israel: History, Imperialism, Ideology and Literature” include the latest discussions about the political, military, cultural, economic, ideological, literary and administrative relations between Egypt, Canaan and Israel during the Second and First Millennia BC incorporating texts, art, and archaeology. A diverse range of scholars discuss subjects as wide-ranging as the Egyptian-Canaanite relations in the Second Intermediate Period, the ideology of boundary stelae, military strategy, diplomacy and officials of the New Kingdom and Late … read morePeriod, the excavations of Beth-Shean and investigations into the Aruna Pass, and parallels between Biblical, Egyptian and Ancient Near Eastern texts. Such breadth in one volume offers a significant contribution to our understanding of the interactions between the civilizations of the ancient Near East. Historians are racing to gather material for the national archives, but decisions about what to include have political significance. On any given evening Cairo's Tahrir Square creaks under the weight of its own recent history: trinket-sellers flog martyrs' pendants, veterans of the uprising hold up spent police bullets recovered from the ground, and an ad hoc street cinema screens YouTube compilations of demonstrators and security forces clashing under clouds of teargas. This is collective memory by the people, for the people – with no state functionaries around to curate what is remembered or forgotten. "Egyptians are highly sensitive about official attempts to write history and create state-sponsored narratives about historical events," says Khaled Fahmy, one of the country's leading historians. "When Hosni Mubarak was vice-president in the 1970s he was himself on a government committee tasked with writing – or rather rewriting – the history of the 1952 revolution to suit the political purposes of the elite at that time. That's exactly the kind of thing we want to avoid." Fahmy knows only too well about the inherent tension between acts of mass popular participation and official attempts to catalogue and record them. Less than a week after the fall of Mubarak, the professor received a phone call from the head of Egypt's national archives asking him to oversee a unique new project that would document the country's dramatic political and social upheaval this year and make it available for generations of Egyptians to come. The new governor of Luxor is making a real effort to improve Luxor and one of his initiatives was to have a meeting with ex-pats living here to find out their views. The first meeting was Wednesday night which I missed as I had guests arriving but the follow-up meeting was today. General Khaled Fouda explained exactly who he is, his military background and experience, he had spent sometime in the US and although his English was not bad he had a translator there as well. He has been in Luxor 2 ½ months and is very happy to be here. On Wednesday he had been asked if he would still be in position after the autumn elections and he said he would (personally I am not sure how he can say that). At the moment he is concentrating on complete certain projects started by the last governor Sphinx Alley, the Corniche, the area behind the Sheraton, the Cultural Palace and the Olympic Swimming pool. These are all scheduled to open 30th October. There were lots of other project but he is concentrating on those . Until recently Zahi Hawass, Egypt’s antiquities minister, was a global symbol of Egyptian national pride. A famous archaeologist in an Indiana Jones hat, he was virtually unassailable in the old Egypt, protected by his success in boosting tourism, his efforts to reclaim lost artifacts and his closeness to the country’s first lady, Suzanne Mubarak. Zahi Hawass near the Giza Pyramids last year. Critics are questioning his closeness with the Mubaraks and his business ties. Now demonstrators in Cairo are calling for his resignation as the interim government faces disaffected crowds in Tahrir Square. Their primary complaint is his association with the Mubaraks, whom he defended in the early days of the revolution. But the upheaval has also drawn attention to the ways he has increased his profile over the years, often with the help of organizations and companies with which he has done business as a government official. Egypt’s minister of state for antiquities research focus Hawass brings a bigger-than-life personality to the quest to find Cleopatra’s tomb and other Egyptian treasures. A consummate marketer and political operator as well as an archaeologist, Hawass was a controversial figure even before the revolution. One night in the weeks leading up to then President Hosni Mubarak’s ouster, looters swarmed the grounds of the Museum of Egyptian Antiquities in Cairo (sometimes called the Cairo museum), and at least one broke into the main building by descending on wires from a skylight. Others rampaged through storerooms at well-known archaeological sites. Panic swept the world of Egyptology. Ultimately, the looting was not as devastating as some had feared, and many of the country’s treasures were recovered. The chaos, though, focused renewed criticism and exacted an emotional toll on Zahi Hawass, the minister of state for antiquities. Paul points to the inconsistencies in some of Hawass's statements, past and present. The Supreme Public Funds Prosecutor (SPFP) decided to hold back investigations of the allegations submitted by Yasser Ahmed Seif El Din, chairman of the International Association for Development, Environment and Culture against Farouk Hosni, former minister of culture and Zahi Hawass, minister of state for antiquities. Seif el Din claimed that both Hosni and Hawass offered Suzane Thabet, wife of former president Hosni Mubarak, an authentic gold necklace once belonging to Princess Samiha, a member of the Mohamed Ali family. This necklace was on display at the jewellery museum in Alexandria.